Homelessness is a challenging experience. For people living outside, it seems like the world is unaware of them. For everyone else, there is growing and deep concern for people living outdoors. Homelessness is a big challenge. In Oregon, 61% of people living outside lack access to or feel unsafe in shelters. What can anyone do about it? Impact Kits offers a way. Each kit contains basic hygiene items, food and water and a resource guide. They also contain a lifeline. Volunteers hand Impact Kits to people outside, creating a human connection that can lead to real change for everyone. Interested? Join us on Veterans Day, Nov. 12, as we meet up at Prosper Portland from 9:30 am to 12:30 pm to assemble 300+ kits and hand them out to people outside. This will be a powerful service learning opportunity. To get involved, just email us at volunteer@impactnw.org. Better yet, get together with your place of work and sponsor. See below. This project is designed with the tech community in mind—it’s flexible, easy to participate in and optimizes community good as well as employee experience! 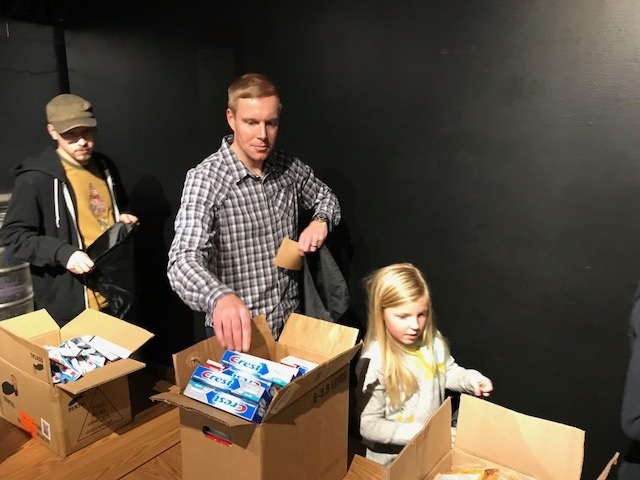 As a supporter of Impact Kits for Veteran’s Day, you not only will help provide 300+ kits, full of hygiene and other essentials, but also support Impact NW’s year-round efforts to keep families from losing their homes. – Recognition in event materials, including social and news media, website and printed program. – Opportunity for up to 10 employees to participate in Nov. 12 Impact Kits for Veteran’s Day event. – Recognition in event materials, including social and news media, website and printed program. – Opportunity for up to 15 employees or family to participate in Nov. 12 Impact Kits volunteer event. – Lead recognition in event materials, including social and news media, website and printed program. – Opportunity for up to 25 employees or family members to participate in Nov. 12 Impact Kits for Veteran’s Day event.